Welcome to the website of the Loxahatchee River Historical Society. Formed in 1971, the society is a non-profit organization in Jupiter, Florida, is a unique cultural and educational institution which operates the DuBois Pioneer Home and the Jupiter Inlet Lighthouse. Our mission statement is to collect, preserve, interpret, and promote the history of Florida, particularly emphasizing the southeast region and the area between the headwaters of the Loxahatchee River and the Jupiter Inlet. 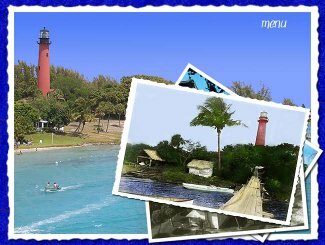 Jupiter Inlet Lighthouse & Museum offers climbing tours of the landmark 1860 lighthouse. The waterfront Museum in the newly restored WWII Barracks building offers indoor and outdoor local history exhibits, museum store, lecture series, sunset tours, children’s summer camp, weddings and special events. The Lighthouse is listed on the National Register of Historic Places. Hours: Tuesday –Sunday, 10am-5pm, last lighthouse tour leaves at 4pm.